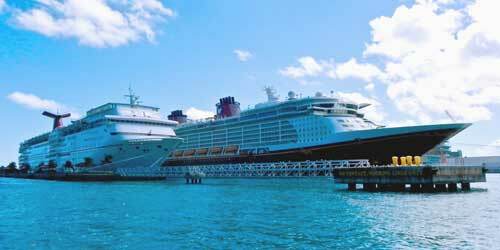 When calling at Nassau, the cruise ship passenger has many different tours and excursions offered onboard which will visit the highlights of this popular cruise port. 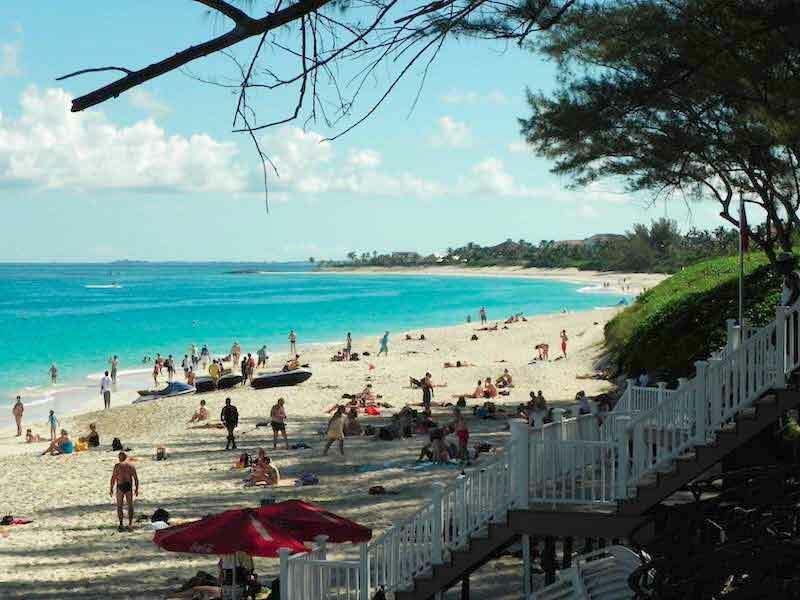 But you may also choose to enjoy the top attractions of Nassau independently. 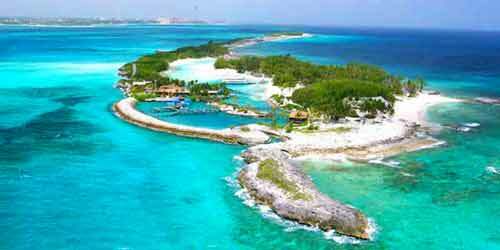 Some of these excursions include the most interesting attractions or the top things to do see and do in Nassau but many others are left out and can be explored on your own. On this page you find a selection of the Editor's top picks such as the Cabbage Beach, the John Watling's Distillery, the Junkanoo Beach, the Balcony House, the Fort Fincastle, the Graycliff Hotel, the National Art Gallery or the Pompey Museum. 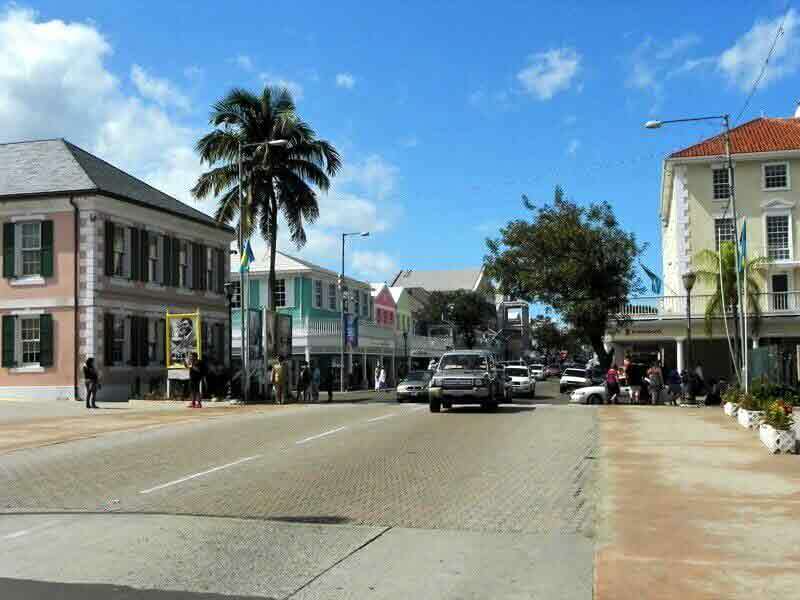 The main street of Nassau is a must see (walk) for all cruise ship passengers. 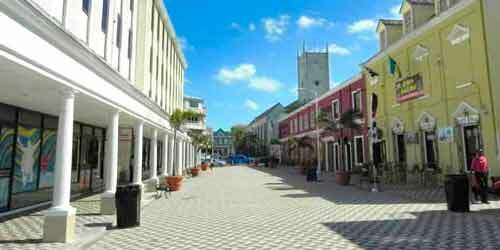 It is the heart of Nassau lined with the best shops and boutiques and a few restaurants. The main stretch of Bay Street starts at the junction of Rawson and Parliament Squares - just 2-minute walk from the pier - ending at Pompey Square. To the east you will find a Gucci boutique and the Bacardi shop but little else. 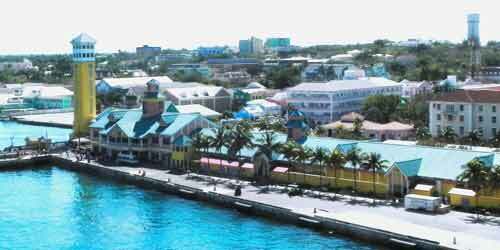 Connected with Nassau by two bridges, Paradise Island is located just off the shore of the New Providence island. Here you will find the famous Atlantis Resort (one the main attractions of Nassau) but also Cabbage Beach - a free and very popular public beach - the Bahama Craft Center, and a couple of restaurants. Atlantis, Cabbage Beach, Versailles Gardens, The Cloister, Bahamcraft Center. Notes: Next to the Atlantis Resort, the main attraction of the island is Cabbage Beach. Viola's, Green Parrot and Margaritaville are the best places to have lunch out of the Atlantis Resort - see Restaurants Page. Getting there: Next to the Cruise Terminal, on Woodes Rodgers Walk, you will find a Ferry Boat that will take you on a short cruise through the harbor ending at the dock under the main bridge on Paradise Island. From here you are within walking distance to Atlantis and Cabbage Beach. 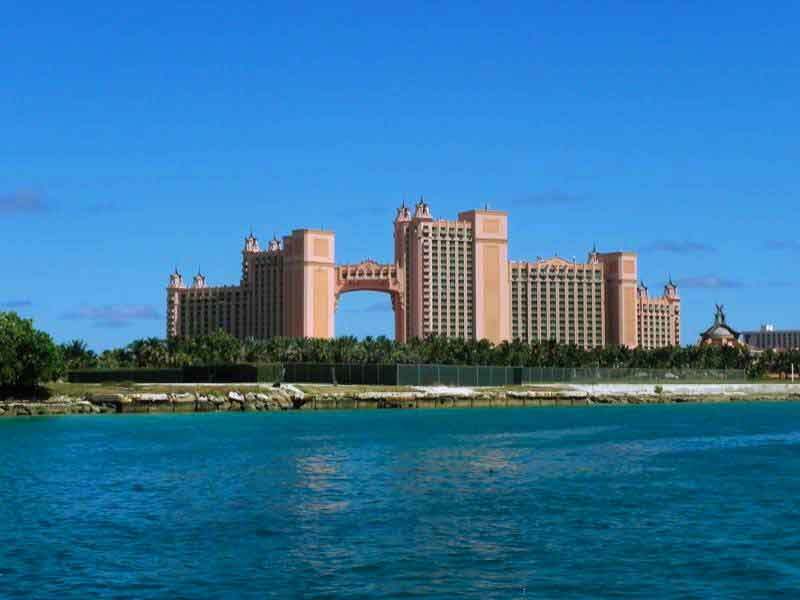 Atlantis is undoubtedly the main highlight for any cruise ship passenger visiting Nassau. In this renowned resort, you will find everything you can think of that a Caribbean resort has to offer. The beaches and an amazing water park are perfect for those looking for adventures on water slides, a 1-mile long river, 20 swimming areas, a 7-acre snorkeling lagoon and white sand beaches. Scuba, Snuba, encounters with sharks, dolphins and sea lions are some of the many other thrills you can enjoy at Atlantis. For land thrills, the 11 rock-climbing surface is a must. 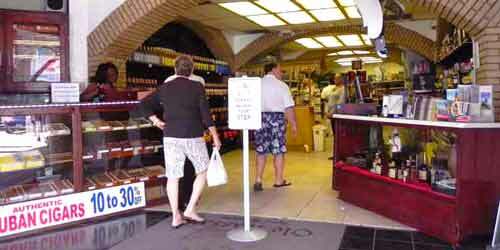 You will also find some of the best shops in Nassau, restaurants and coffee shops. 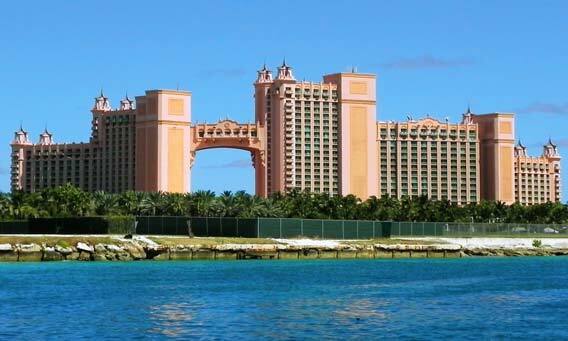 And, of course, the Atlantis Casino is there for those that cannot stay off gambling when your cruise ship is in port. Shopping, Activities, Restaurants and Coffee shops on Marina Village reviewed below. Notes: All cruise lines offer tours to Atlantis with different activity packages - See the Tour Page. Part of Atlantis, the Marina Village is a wonderful public (free) area close to the entrance of the resort when walking from the Ferry Boat Dock under the main bridge connecting Nassau to Paradise Island. Paved pedestrian streets are shaded by palm trees and lined with colorful buildings where the cruise ship passenger will find shops, kiosks, cafes, and restaurants. 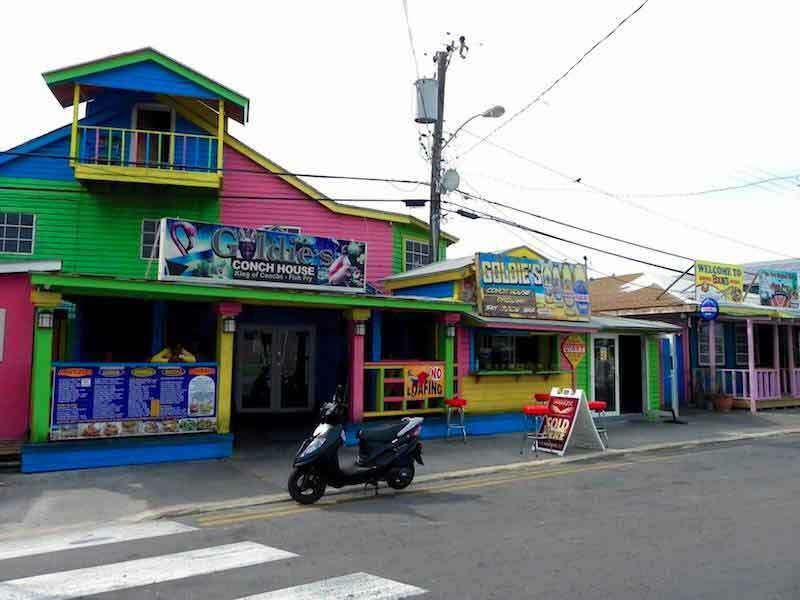 Starbucks, Johny Rockets, Ben & Jerry’s and Café’ Martinique are featured along with shopping brands as diverse as Pirana Joe, Tortuga Rum Cakes, Columbian Emerald or John Bull. 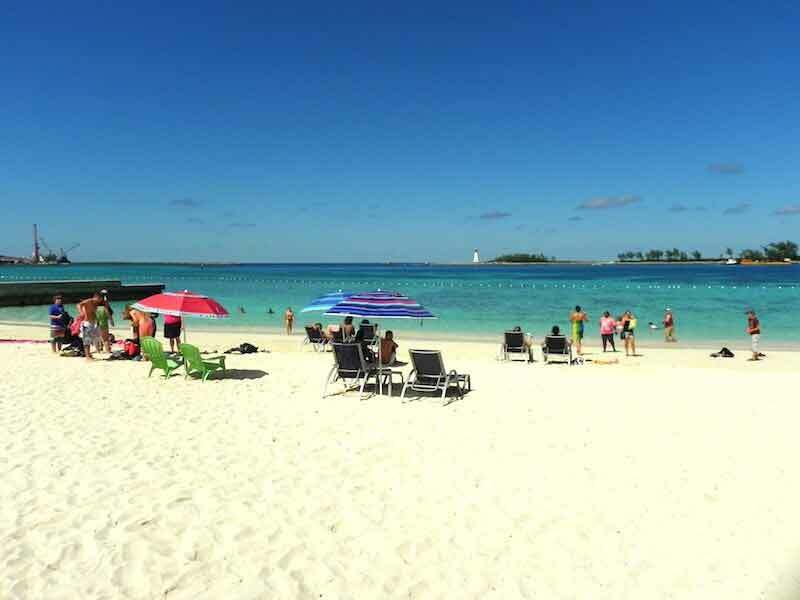 One of the most beautiful beaches in The Bahamas, it is also one of the most popular, as it is free and with easy access from the cruise terminal. Located on Paradise Island, just next to the Atlantis Resort and stretching all along the north coast, Cabbage Beach is ideal for those looking for a day out on a pristine beach with a wonderfully shaded area. Beach and beach activities - para-sailing, wave runner rentals and banana boat rides and even massage on the beach. Atlantis, Versailles Gardens, The Cloister, Bahamcraft Center. Getting there: There are two ways of getting to Cabbage Beach: on a Ferry Boat (see Paradise Island review below) or by taxi (on offer at the Cruise Terminal). From the ferry dock on Paradise Island a 10-minute walk trough the Marina Village of the Atlantis Resort will take you to Cabbage Beach. One of closest beaches to the Cruise Terminal, Junkanoo is at the start of the Western Esplanade - the stretch of sand between the British Colonial Hotel and Arawak Cay. 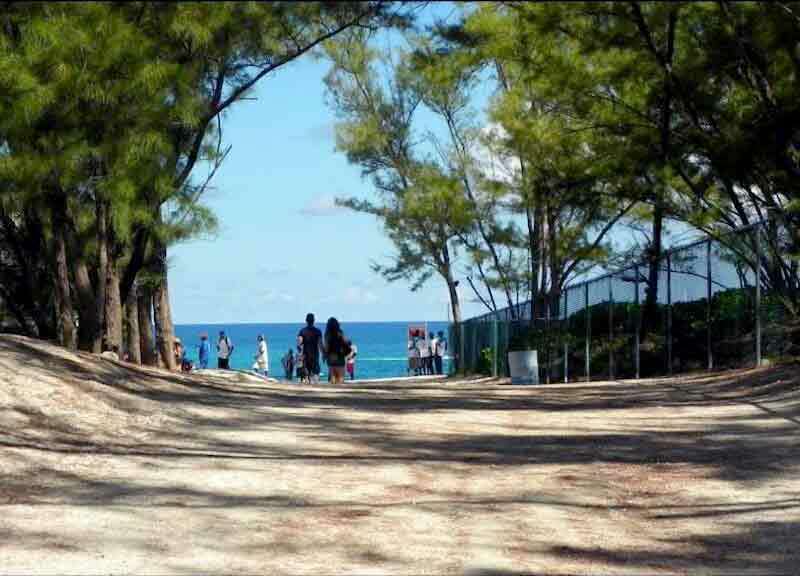 A 10-minute walk along Bay Street and Marlborough Street will take you to this wonderful spot with a couple of beach bars renting lounge chairs, umbrellas, hammocks or lockers- it also has shower facilities. Beach with bars, activities, shower. Notes: Seldom mentioned onboard cruise ships, as it would take away the business from excursions. 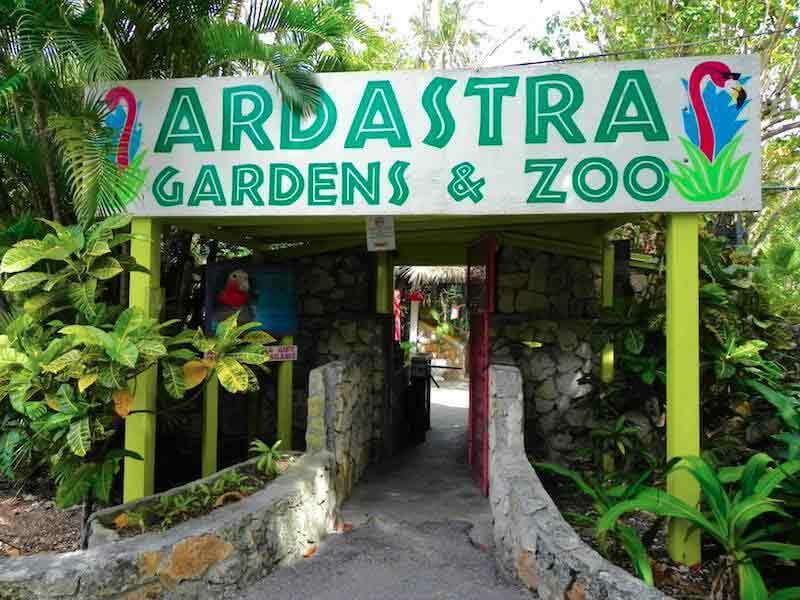 If the cruise passenger has great expectations of finding something comparable to the best zoos in the World, the Ardastra is not on that league, but you will see birds (Peacocks, Parrots, and Flamingos), mammals (mainly domestic ones) and reptiles (Iguanas, Tortoises and Bahamian boa constrictors). NOTES: Although the Editor has walked there, it is quite a long and not particularly interesting walk from downtown - a taxi is advisable. A 10-minute walk south of Bay Street, the John Watling's Distillery is located on a stunning estate with two acres of a lush tropical garden where the cruise traveler can take a free self-guided tour. 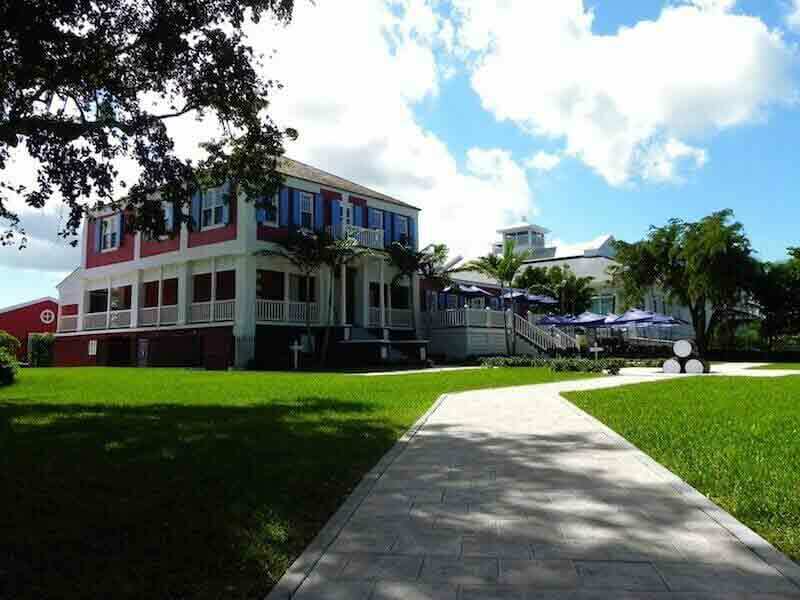 This includes the historical house showcasing the rich heritage of The Bahamas and the storehouse where different rums are bottled. And, naturally, you can also taste the best rum of the distillery. Notes: Very few cruise lines offer a tour of the John Watling's Distillery by itself although it may be included on excursions of the Highlights of Nassau. Opposite Fort Charlotte, the Arawak Cay was artificially built from the sand dredged out of the harbor when it was built (1969). A fish market was developed on the 'cay' and naturally, a number of restaurants were established offering fresh fried fish, conch salads and many other Bahamian delicacies. 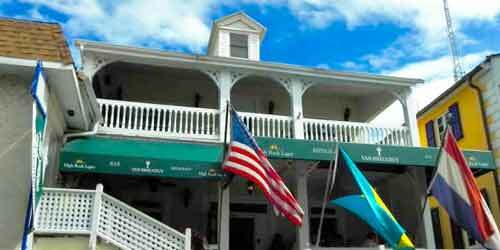 It is a very lively spot for locals at night but a quiet off-track spot for cruise ship travelers to taste typical Bahamian food at lunch time. A bit over 2 miles west of Downtown. Notes: Be aware that the walk to Arawak Cat is quite a stretch. 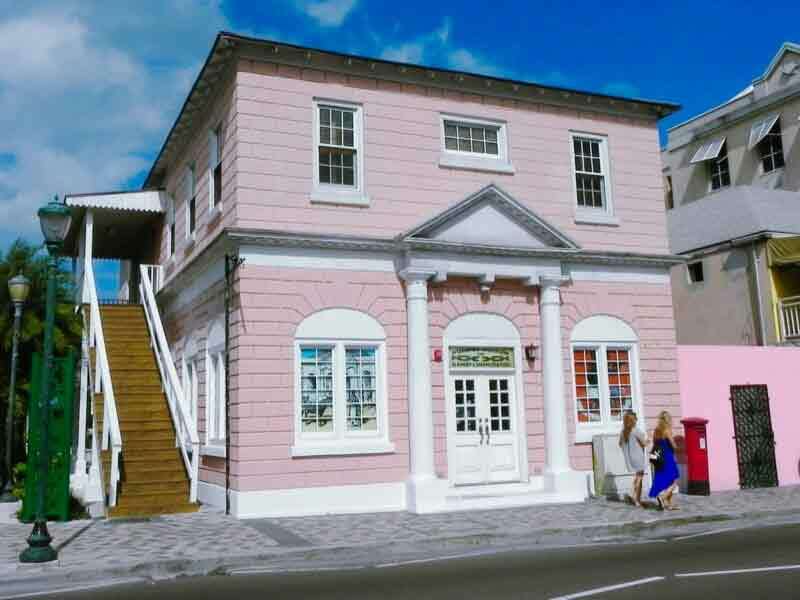 Nassau has quite a few very interesting landmarks that deserve to be highlighted such as the Forts Fincastle and Charlotte or the famous Queens Staircase. These sites are reviewed, (with all other major landmarks) in the Landmarks Page. 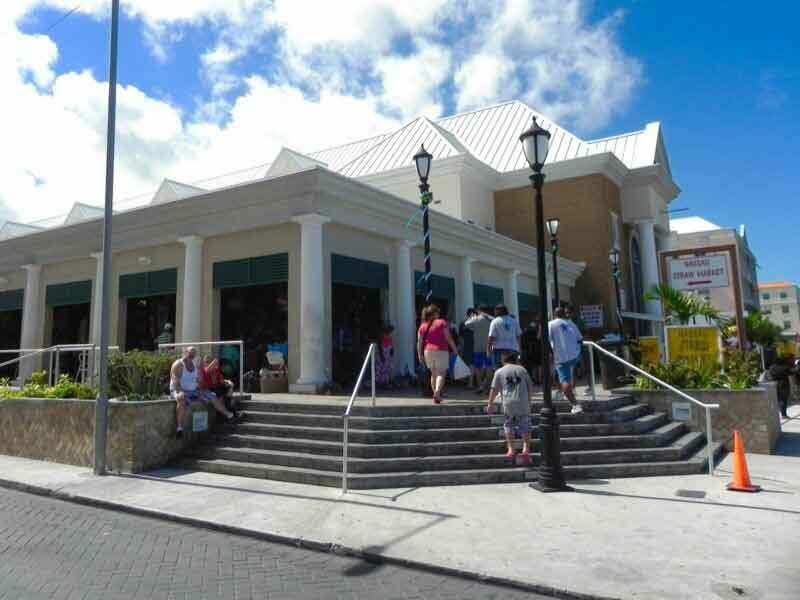 Click Here to Explore all Major Landmarks in Nassau. 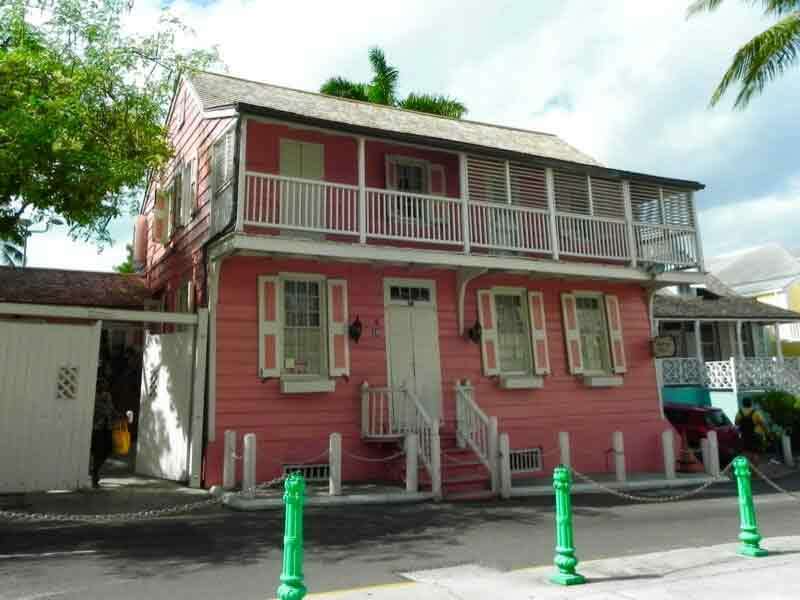 Dating back to the 1780's, this is probably the oldest residential house in Nassau, which was restored and opened as a museum in 1994. Josephine Bryce, an American heiress, was the last resident (between the 1930s – 1980s) and most of her furnishings can still be seen along with a stunning mahogany staircase and the front balcony. Named after Pompey - a slave that lead a revolt on the island of Exuma - this museum is a living study of slavery in The Bahamas. It is housed in Vendue House, which dates back to the 1760's and was once used as a market of all sorts of merchandise including human beings. The disturbing exhibition is a must-see museum in Nassau. 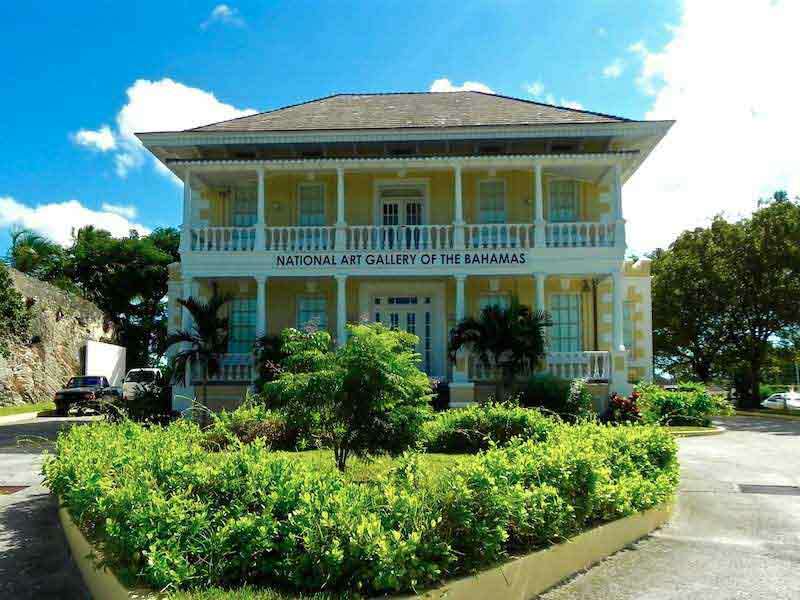 Housed on Villa Doyle (a 19th-century historical house) this is the best Art Gallery of the Bahamas displaying works by Bahamian artists. Nassau was the main city where the Golden Age of Piracy thrived between 1690 and 1720 when it all comes to an end (in Nassau) with the intervention of Woodes Rodgers (a former privateer). 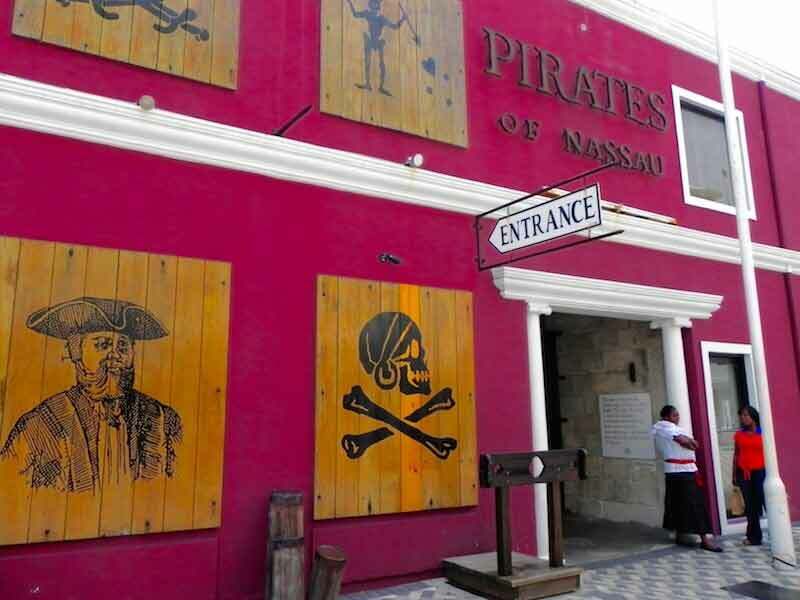 During 30 years the city was a safe haven for the most famous and terrifying pirates - a historical period that can be revisited in this interactive museum dedicated to those characters and their lives. Close to the West end of Bay Street and Woodes Rodgers Walk, the Straw Market is a large building housing a good number of stall and shops with handcrafts by artisans from all over The Bahamas. This is the place to go if looking for local souvenirs, but be prepared for pushy almost harassing vendors ready for lots of haggling. Not everyone's taste. Can be crowded. Pompey Square, Pompey Museum, Bay Street Shops and the Woodes Roger Walk. Will the cruise visitor have time to see all the highlights of Nassau? Depending on the time your cruise ship will stay in Nassau, you will be able to see quite a lot. However, it will also depend on how long you wish to spend on other activities like diving, snorkeling, or just relaxing on the beach. Ocho Rios is the Editor's favorite Cruise Port in Jamaica close to many highlights, attractions and many hidden gems of the Island. Unlike what you may read in many reports, blog and reviews, the Cruise Port in Falmouth has the best location to explore Jamaica. The Cruise Port is 3-miles away from Montego Bay's, but both the old town and the island have top attractions and highlights that must be explored. It is advisable to confirm details with local tourist information before planning your cruise, excursions and tours of the Nassau Cruise Port.